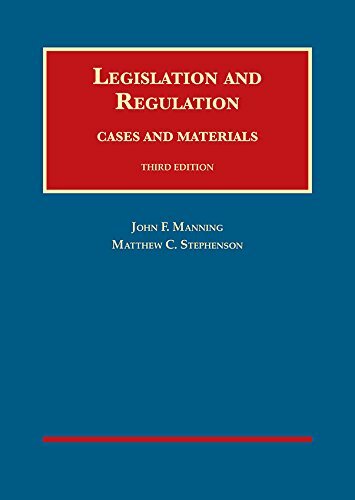 1634606477 -This updated casebook is designed for a first-year class on Legislation & Regulation, and provides a proven, ready-to-use set of materials for those interested in introducing such a class to their 1L curriculum. The book focuses on the tools and methods of interpreting legal texts, using Supreme Court and other appellate decisions as the primary texts, yet the note material gently introduces students to applicable insights from political science, history, economics, and philosophy. The book aims to familiarize students with tools and techniques that lawyers and judges use when crafting legal arguments in statutory or regulatory contexts, and to give students a sense of the larger questions of institutional design implicated by these interpretive questions.